A healthy cat normally weighs around eight to 10 pounds, even though there are major differences between breeds. A healthy cat’s weight also differs by as much as a pound or two from season to season, as cats tend to eat more in winters. Nevertheless, drastic or consistent weight loss in a cat is an indication of a health issue such as parasites. Your vet will need to treat the cat if the weight loss is a health problem. You will require canned kitten food, Nutri-cal paste and canned pumpkin in order to increase the weight of your cat. 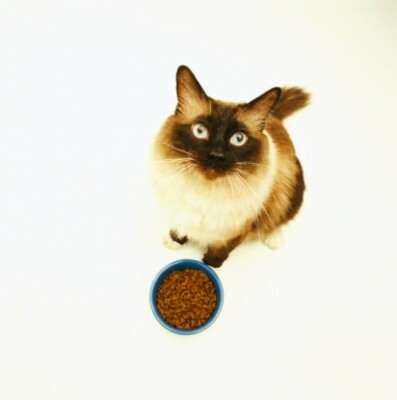 On the other hand, if your cat just has a poor appetite and a few extra pounds can help the animal, there are a few ways that you can try on your own. Give two 3-oz. cans of kitten food to your cat at every meal. 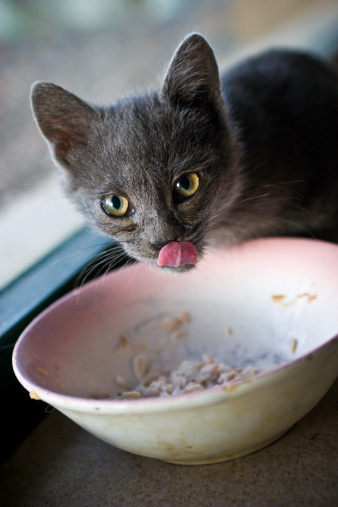 Kitten food consists of high fat and nutrients than your normal cat food, and can help your cat gain weight effectively. Feed her Nutri-cal paste which is high-calorie vitamin supplement. This supplement can be bought without a doctor’s prescription. Give one and a half table spoon Nutri-cal paste by mouth to a cat that weighs 10 pounds. Make sure that your cat has a table spoon or two of canned pumpkin during the meals. Most of the cats adore the taste of the pumpkin, and it offers lots of fibre and nutrition. Both of these are important for the cat to increase its weight. Moreover, also give her a table spoon or two of fresh or baby food bananas. This can also be effective for weight gain if the cat likes the nutrition. 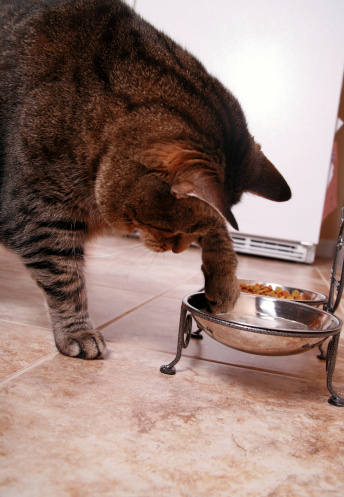 Add a little chicken broth into the cat’s normal food. Chicken broth can also be mixed in the pet’s water if he or she is not drinking enough water generally. Furthermore, warm up the cat food in the microwave oven, just to body temperature. Warm it a bit but it should not be hot. Warm food appeals to cats because, instinctively, they love meals at the same temperature of the prey they would hunt if they were out in the wild. Also, ask the veterinarian about prescription and non-prescription high-caloric foods that are available in the market. You can also increase the amount of food if he or she likes it.